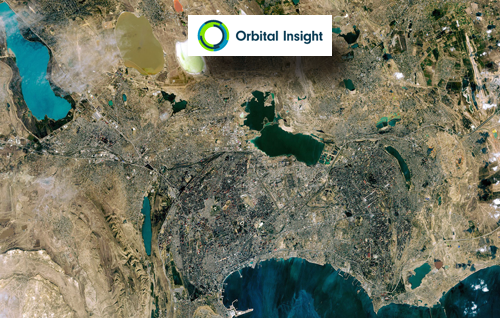 Airbus Defence and Space has entered into a partnership with Orbital Insight, a U.S.-based geospatial analytics company, to build a suite of geospatial analytics services and tools. The agreement will provide Orbital Insight with access to Pleiades and SPOT satellite imagery at scale and provide Airbus with analytics services, making Orbital Insight the first analytics partner for the Airbus Digital Platform, "OneAtlas." The OneAtlas Platform is a collaborative environment enabling users to easily access constantly updated satellite imagery, perform large-scale image processing, extract industry-specific insights, and benefit from Airbus assets to develop tailored solutions for a wide range of markets in both commercial and government sectors. François Lombard, Director of the Intelligence Business at Airbus Defence and Space, noted that under this agreement, the company will offer premium analytics capabilities to a large range of users, powered by Orbital Insight's services and tools. The OneAtlas Platform is definitively the cornerstone to leverage Airbus and partner assets to support the company's customers’ business development and growth. Dr. James Crawford, Orbital Insight’s CEO and founder, added that along with this new satellite imagery agreement, this partnership drives customer value for those looking to better understand what’s happening on, and to, Earth.